MOST OF THESE POSTS BELOW are just the main part of each bit of news. For the rest of the news, video clips, photos, and links, go to our Primetime Forum! This Week’s News by Angie and Suzanne! What would you like to see about TV News that’s not on here? Let us know! 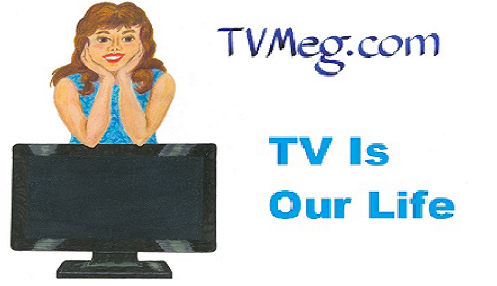 Other primetime news pages on our site: 24, 30 Rock, Alias, Almost Human, American Idol, American Gothic, Angel, Arrow, Battlestar Galactica, Beauty & The Beast, Being Human, Big Bang Theory, Bones, Boston Legal, Brothers & Sisters, Buffy the Vampire Slayer, Burn Notice, Castle, Charmed, Covert Affairs, C.S.I., Curb Your Enthusiasm, Dallas, Dawson’s Creek, Dexter, Doctor Who, Dollhouse, Drew Carey Show, Elementary, Eureka, Family Guy, The Flash, Fringe, Ghost Whisperer, Glee, Gotham, Grey’s Anatomy, Haven, Heroes, Hollywood Heights, Howard Stern, House, Jericho, Justified, Law & Order, Leverage, Lois & Clark, Lost, Mad About You, Mad Men, Marvel’s Agents of S.H.I.E.L.D., The Mentalist, Nashville, NCIS, The O.C., Once Upon a Time, Person of Interest, Queer As Folk, Remington Steele, Revenge, Sleepy Hollow, South Park, Smallville, Star Trek, Stargate Universe, Supernatural, True Blood, TV Nation, V, Vampire Diaries and Veronica Mars. 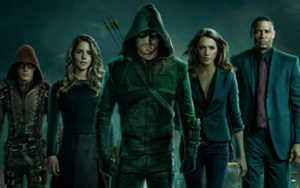 Current Primetime TV show Spoiler Pages: Arrow, Big Bang Theory, Curb Your Enthusiasm, Doctor Who, Elementary, Family Guy, The Flash, Gotham, Grey’s Anatomy, Law & Order, Legacies, Legends of Tomorrow, Marvel’s Agents of S.H.I.E.L.D., Nashville, NCIS, Once Upon a Time, South Park, Supergirl, and Supernatural.